I’m pretty well convinced that this is the year of virgin moments for me. It’s kinda like waking up after a long, long, LONG nap and finding all these cool things that I’ve yet to experience. 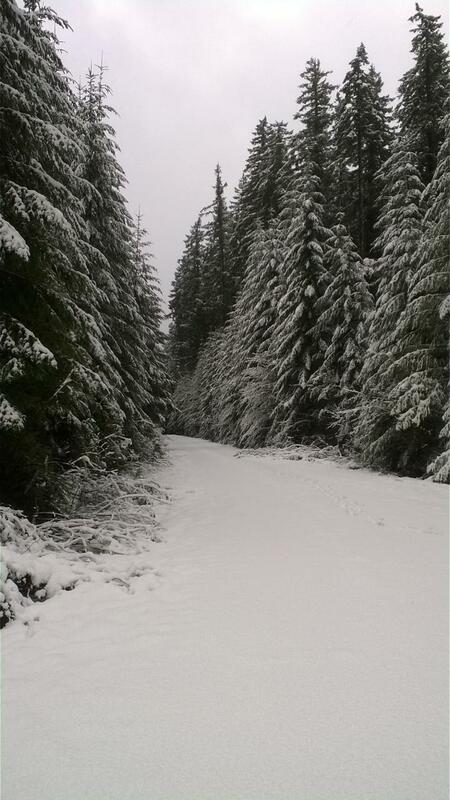 Like paddle boarding on the Deschutes River. I wasn’t sure at first. After all, that water was COLD! And the thought of slipping off the paddle board…well, let’s just say I wasn’t looking forward to getting my hair wet. 🙂 But once I got myself on it, I was hooked! There’s something so freakin’ cool about gliding along on the water with few peeps around. Makes for a very contemplative time, time I used thinking about the characters in the book I’m working on now. I thought about how to take two broken people, make them whole so they can come together and create something bigger than each of them. Pretty heavy stuff, huh? Well, whatever it is that feeds La Muse, I’m all for it! Unless it involves jumping out of a perfectly good airplane…I gotta draw the line somewhere! I know there are more adventures to come, and I’m looking forward to sharing them with you, so thanks bunches for hanging with me! What activity do you participate in that makes you contemplative? One of the beauties of having such generous writerly friends is the chance to visit their wonderful get-aways. Or, in this case, writer-pal Delilah Marvelle‘s GORGEOUS home! And the view outside my room! Loving the invitation to explore the grounds! I’m so looking forward to the peace and quiet, to the calming beauty, and the chance for La Muse to crank out some amazing pages. 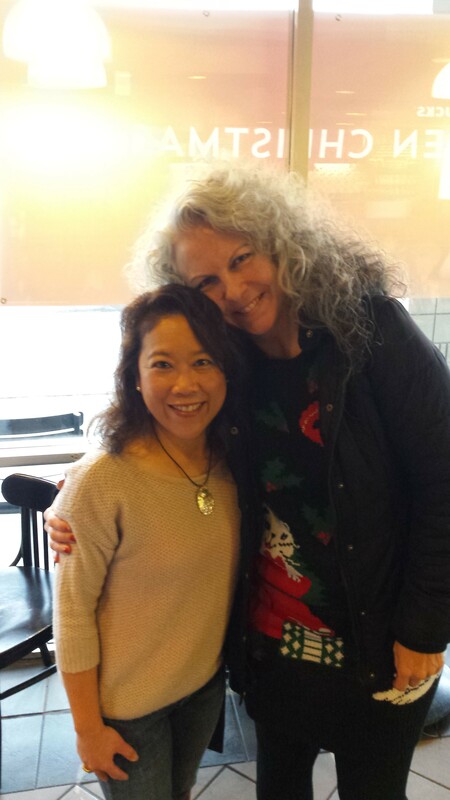 Anyhoo, I got to spend some wonderful quality time with my lovely writer pal Fiola Faelan! We talked writerly stuff and life stuff, and I was reminded yet again how incredibly lucky I am to have amazing people in my life. And that includes you all! Thanks so much for stopping by, and for leaving a message or two. As I continue on this publishing journey, your presence here means more to me than I could ever express! I’m fortunate to have extended family within driving distance. And while I don’t get to visit as often as I like, it’s a real treat when I do make the two-hour trek to see them. Recently (just last night, in fact), my nephew practiced a speech he was to give to his class. The topic was Christmas and some of the cultural differences between his Philippine heritage as compared to that in the United States. It was adorable (because he is, after all, seven! ), and it reminded me so much the traditions I’d grown up with. For instance, the typical Barong (which he was kind enough to model for me – isn’t he cute?) is worn by males during special occasions. There are also different games played, and definitely different food that graces a traditional Filipino table during the holidays (a roasted pig, for instance, complete with an apple in its mouth). Yum! 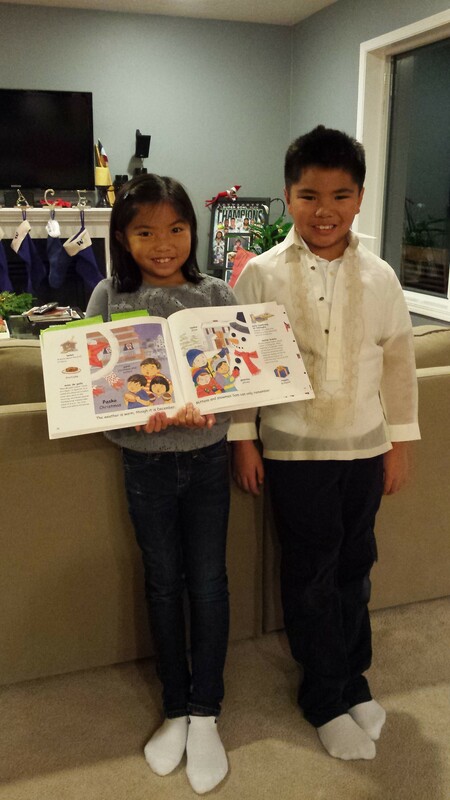 There were even visual aids used, like the FILIPINO FRIENDS book he brought with him (displayed here by his sister). And the part I’m most proud about? This little guy was thoroughly comfortable standing in front of a room full of people and giving his speech! How many adults can say that? Even as a seven-year-old, he reminded me about the wide range of experiences (a.k.a. back story) that we all carry with us as we travel on this road called “life.” It’s these same experiences that guide us as we make choices and deal with what comes our way. It’s through testing our experiences that we grow. At least, I think so! And as I plot my next book, remembering his speech helped emphasize the importance of my characters’ back stories. Apple, anyone? I’m one of those peeps who loves collecting Christmas mementos when I travel. There’s something about holding an ornament that, when gathered on a special trip, evokes some pretty powerful memories. This one was picked up in Grand Cayman several years ago. Even now, I feel the warmth of the water as we played with sting rays on a sand bar….I taste the turtle burger we had for lunch….I feel the Caribbean breeze caressing us as we walked the dock. And it all makes me smile. Travel mementos are beautiful reminders of happy times. For me, they’re also the promise of what can always be: a lifetime of collecting special memories. 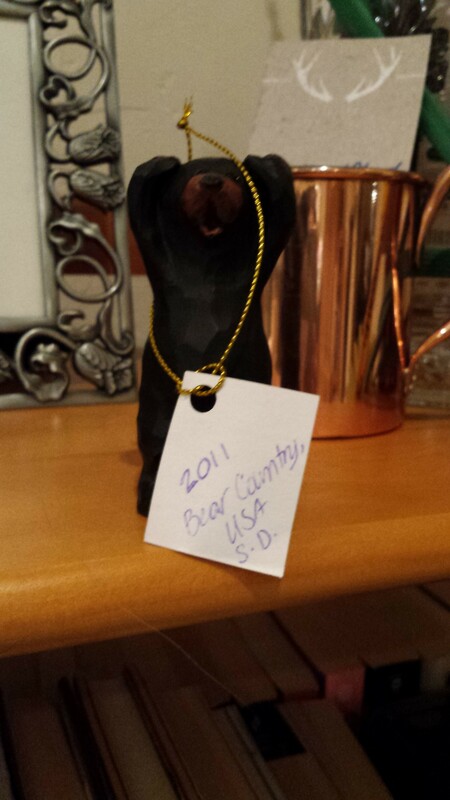 One of the traditions I adore is picking up a Christmas ornament when we travel. This one always makes me smile. Well, okay, it makes me laugh out loud, too. When I see it, I’m transported back to one of the most amazing vacations I’ve ever had. Road trip 2011. With family. Five adults and two kids in a minivan with ten days worth of clothing and two coolers of food and drinks. Yep, we were pretty tightly packed…. And, yeah. 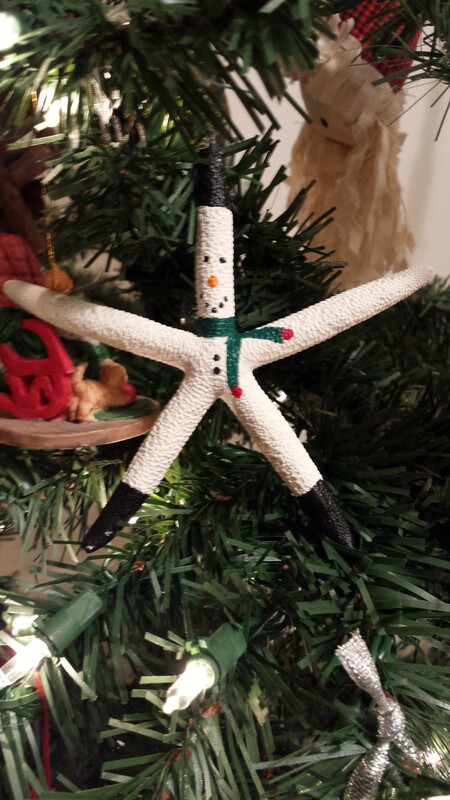 This ornament brings it all back. The laughter. The tears. The bonding that took place. ‘Cause, really, how could it not? Do you collect Christmas ornaments? What’s one of your faves?